Friday, March 25 at 10:30 am. Come to a special service of reflection and worship, including communion. 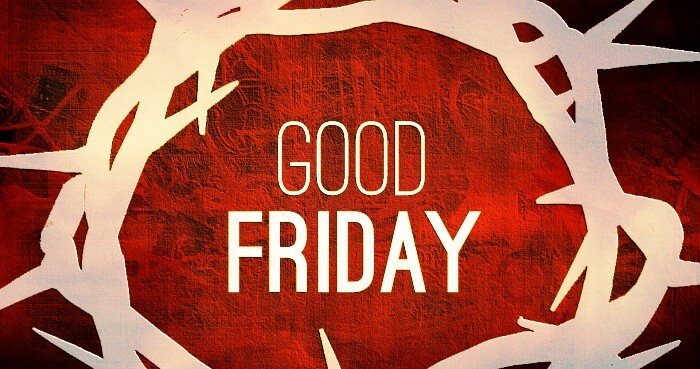 With Good Friday comes powerful emotions of sorrow and brokenness for our sins, then triumph and celebration because of the resurrection of Jesus. This is such a wonderful time to express our brokenness and praise to God through music and reflection at our special Good Friday service. Note: We will be providing childcare for infants, toddlers and preschoolers, and a Good Friday program for children in SK to Grade 5.